Miffed to have missed this. Apparently this happened while I was away on vacation. In case you hear what sounds like loud explosions in the afternoon today, please do not be alarmed. Beginning at 2 p.m., the Offices of the Commandant of the Corps of Cadets will be conducting test firings of cannons in preparation for the remainder of the football season. The testing could take several hours. The test firings will take place near the Southeast Activation Tower of Kyle Field, near Houston Street, in order to determine the noise levels in surrounding areas. If only I’d been here! All that lovely artillery, going to waste… Bah! These humans! I could have put real ammo in those cannons to knock down some of the uglier buildings on this campus. I could have bombarded my way into the President position, or any one of the Vice President or Dean openings. I could have blasted some more sand traps into the golf course. All blanks do is scare the crap–literally– out of the local grackles. No photo, because I wasn’t here to take one, but you can picture me pouting. We arrived home to find that recent rains have summoned forth a plethora of fungal forms. When they are little, they look like creepy lollipops. 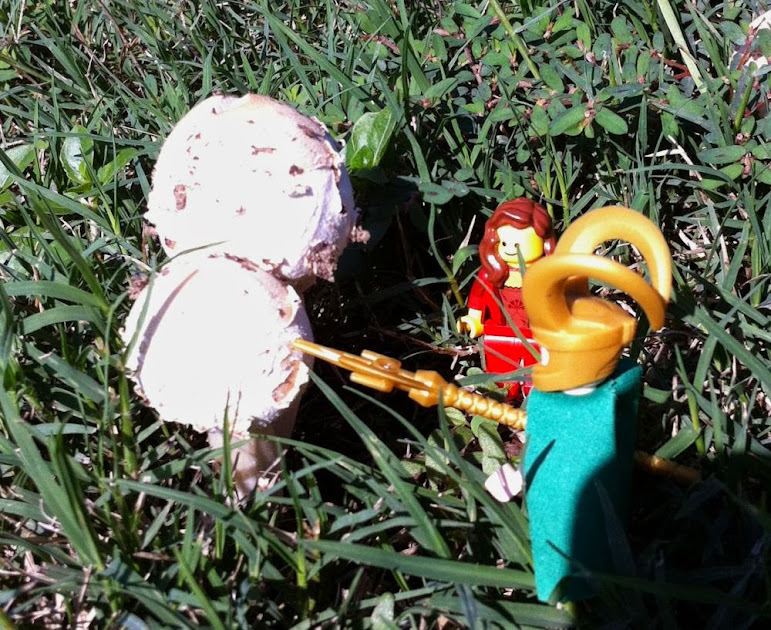 No, Sigyn, I don’t think you should taste one. The larger ones can serve as not-very-durable furniture. Climb on up, my sweet! But where are all the toads? Shouldn’t there be toads? What do you want to do for your last day of vacation, Sigyn? An amusement park? Really? 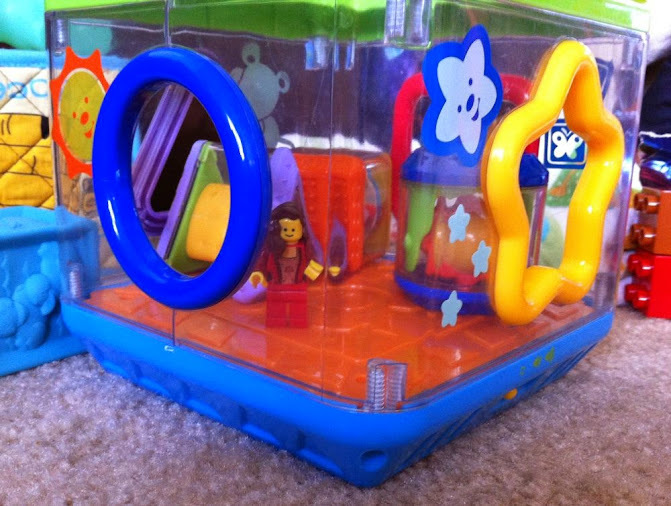 Sigyn, did you remember to take off your shoes before you went in the bouncy house? What in the Nine Realms is that? Oh. I see. Something to climb on. You’re very good at that, you know. Whew! After all of that, I just want to take off my splendid-yet-somewhat-cumbersome helmet and rest for a bit. 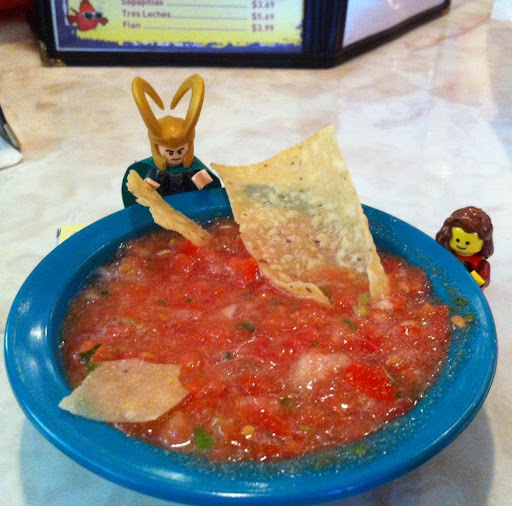 I’m not hungry, but Sigyn has gone in search of refreshments. Wait–have you finished off all the cotton candy already? Today is Aquarium day. 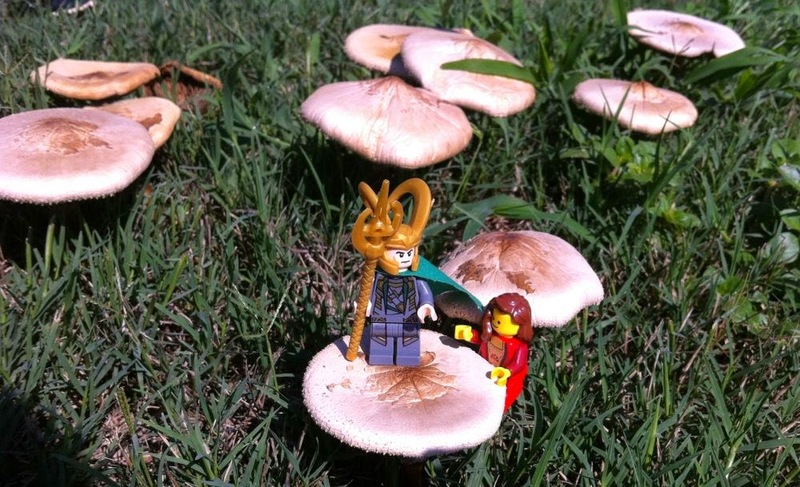 By all means, let us inspect some of this curious Midgardian sea life. Sigyn wanted to have her photo taken with this…thing. I do not know what it is, but he has far too many arms for my liking, and I’m not sure what the one behind my Sigyn is up to. I don’t trust him. I’m not sure about this fellow, either. Hey, wait! That’s mine! Give that back! Ha, you carapacious crawler! I win! Return Gungnir to me. Very well… You can hold it for a minute, But you have to give my dearest a ride! Hi. It’s Sigyn. Don’t tell Loki, but I let him "win" the feather contest. I very diplomatically didn’t take advantage of the fact that it is apparently molting season for the ostriches. This is a fun restaurant and we haven’t even ordered yet! They have crayons to doodle with while you peruse the menu. I choose the red crayon; Loki takes the green. Loki thinks the green sauce might taste better. Ah! Our dinner is here. I think the reddish rice looks tasty. Loki is intrigued by the green wheel-shaped sliced thingies. I’m starting to think we might be in a bit of a color rut… What do you think? Here we are at the zoo. There are so many children about! I think we may be the oldest people here. (Well, actually, I am *certain* I am the oldest person here!) They all seem to be flocking toward the lions and the monkeys. Sigyn has some bad memories of big kitties, and I don’t like crowds (unless they are bowing in homage to me), so let us go see something else. I’m not sure what this is… I thought at first it was a hippopotamus, but it has horns. By Fandral’s mustache wax! And it is a rather alarming shade of aqua. Whatever it is, it appears to be docile. There are a number of birds roaming freely on the zoo grounds–pigeons, peacocks, ducks, and suchlike. They’re almost as noisy as the hordes of children. Sigyn has found a very nice, plumy feather she plans to take home. Ha ha! I have found a larger one! There is so much more to see at the garden. Sigyn and I have moved on from the succulents to the other extreme–plants that like damp places. The Fern House is cool, leafy, and a little mysterious. Stick close, Sigyn! A body could get lost in here… It’s very primeval. I am trying to figure out how to acquire one of these beauties. If I can magically increase their size about tenfold, I will have something very efficacious for dealing with the cat.